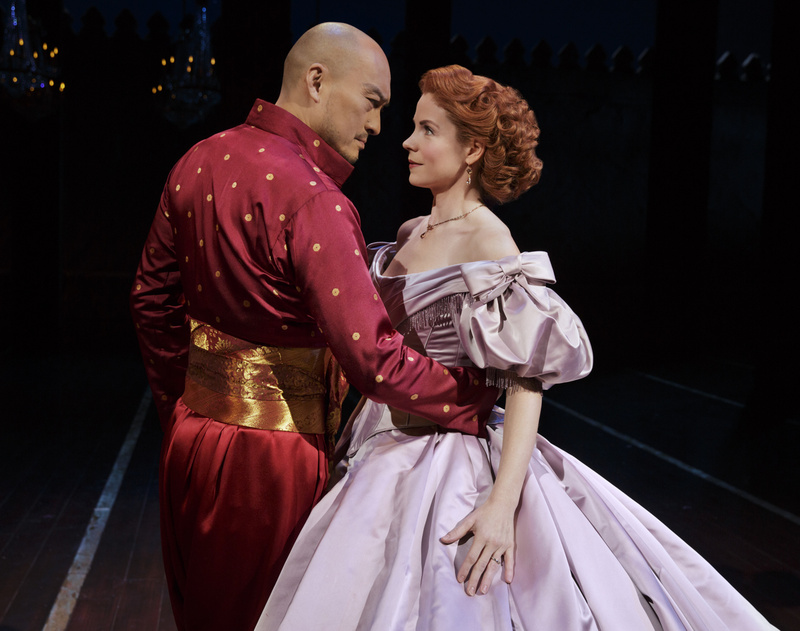 Kelli O'Hara in "The King and I"
Kelli O’Hara is finally making her West End stage debut as British governess Anna Leonowens in Rodgers and Hammerstein’s The King and I, the role that brought the beloved American star a belated 2015 Tony Award; the director Bart Sher’s much-lauded production once again co-starring Ken Watanabe as the King, opens July 3 at the Palladium. Broadway.com caught up with O’Hara one recent lunchtime prior to previews to talk accents, collaboration and gifting her talent across the pond. At last, you’re on the London stage: is this a town you know well? I’ve only been here twice. I first came to visit a friend and then my husband [Greg Naughton] and I came back last fall and saw some theater, so they were short trips and not enough time to do what I wanted. Now, I’ve got my whole family with me, and my husband went to school here [LAMDA, the drama academy] for a year, so he knows the lay of the land. Was there no thought of you repeating your role in South Pacific when that previous Lincoln Center production came to the Barbican here in 2011? It was definitely discussed but I had just had my son and it was a tour so it didn’t work out; it was just one of those things. So were you especially keen to ensure that you got to do this production in the U.K.? Absolutely: the idea had always been that I might do this production here, and there was a plan to come a little bit earlier but then things got pushed back and pushed back. How are you feeling about performing a British character for British audiences? The accent I used in America was correct enough, but since I got [to London] there have been certain changes to make it more correct. I’m trying a little bit more of a new voice, though the emotional intention hasn’t changed; it’s just grown a little bit. The performance can’t just be about the accent; it’s got to be about heart and intention, too. Presumably, your thoughts about the character have evolved, as well? You know, I now have a nine-year-old son, which is something that makes everything worthwhile, and I feel even more deeply that Anna’s whole trip to Siam was in order to support and to prove her love for this little boy [her son, Louis]. When we were in rehearsals for our production on Broadway, Bart Sher lost his mother and had to leave for a few days and when he came back, the scenes with me and Louis resonated in a different way—so you never know what makes a show what it is. You weren’t tempted when first accepting the role to spend time trawling YouTube or looking at the film? I’ve been educated over time to go back to the source material and not to other performances, and I love that: it kind of forces you when you read the novel to put the material through your own lens so that you can see how it affects you first. Afterward, you have to trust your director to tell you that these are the things that have historically worked so let’s do those and then hopefully what makes it different is that you are the person doing it. What are your thoughts about Anna at this point? I view her as this woman who has no idea what she’s stepping into; she’s not in full control and is just trying to stay in the game. What happens is that she finds this man who we know from history went away to be a monk for twenty-seven years and when he came back to rule his kingdom, he had turned into someone who could grow and compromise and work together with someone else. The show tells us that we make change only when we are open to making change. Had you seen any of Broadway’s previous Annas prior to taking on this role—Mary Beth Peil, say, or Donna Murphy? 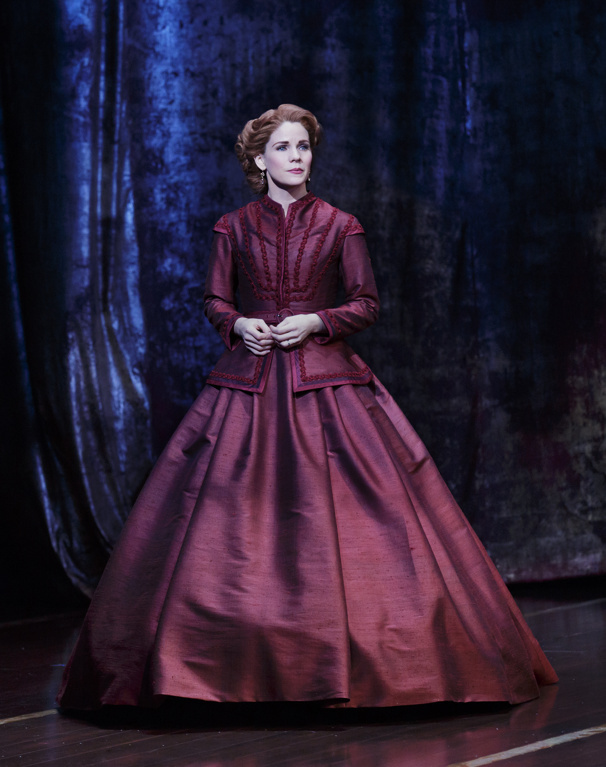 Mary Beth and I have had so many lovely discussions but I’d never actually seen a production of the show, or the movie, prior to doing the part in New York. Even now, the only production I’ve ever seen was when I went back to mine when Marin Mazzie took over, and that was a lovely gift. Well, Marin knows very well she’s been one of my heroes: when I first moved to New York, she was doing Ragtime, and that was what encouraged me as an opera singer to think I could do [musical theater]—to understand amid Rent and The Scarlet Pimpernel that there are things for me and my voice, as well. I went to see Ragtime about eight times, and Marin—and Audra [McDonald], too—became my heroes, so to have her replace me felt like the best present imaginable. 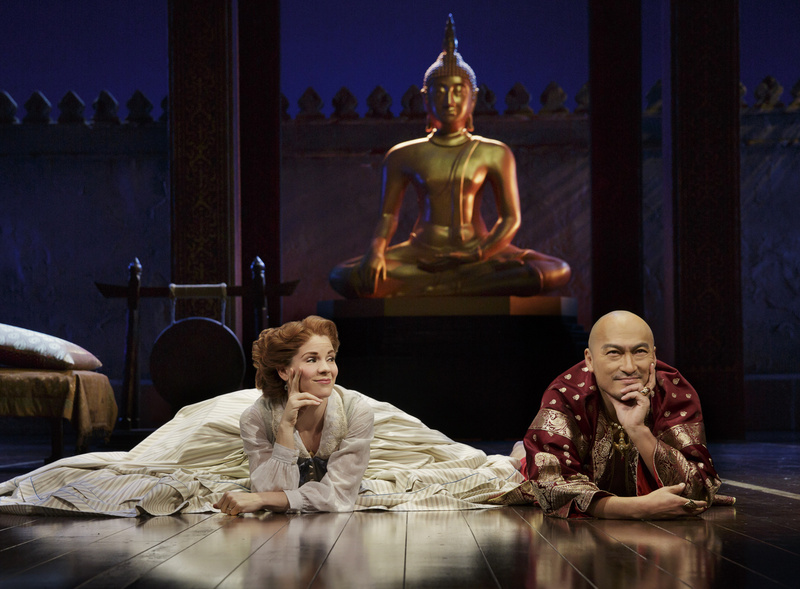 Was it instructive watching the production for which you won your Tony? You know, for twenty years I’ve been doing this, and I had never been able to watch a show I’ve been doing. So I felt so amazed and thankful to be able to look at The King and I and see what I’ve been a part of and to see the enormity of what we’d been doing. 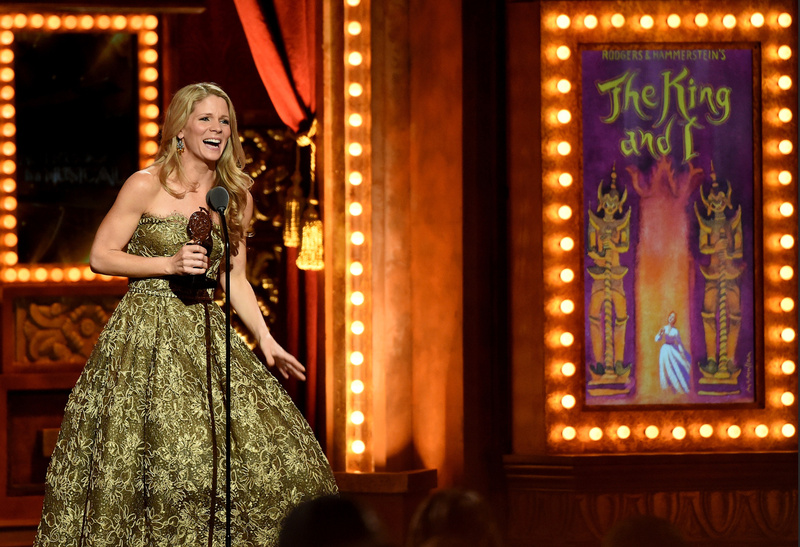 Kelli O'Hara accepts her Tony Award for "The King and I"
Speaking of your Tony, and that wonderful speech you gave, how do you look back on “doing the Worm” as you left the podium? [Laughs] The confusion on that was that what I was doing wasn’t “the Worm”—I wouldn’t be able to do that in my Oscar de la Renta [dress]. What I was doing was a little fun dance; I literally lost my mind! After numerous shows together, does Bart Sher feel to you like a muse? I can’t say I was looking for what we’ve developed but I do think once you work with someone that you start to speak a similar language and there becomes a shorthand: you have success with your productions and then begin to look for things you want to do together. At the same time, we both branch out and work with other people, but when we do come together it is always a joyous thing; I love that Bart and I come from the same world of truth, in theatrical form. How does it feel to be doing Kiss Me, Kate on Broadway in the forthcoming season and thereby inheriting a musical, and a role, associated with Marin from the acclaimed 1999 revival, which then came to London? That’s the only experience I’ve had with it: seeing Marin opposite Brian Stokes Mitchell nearly twenty years ago. It’s one of those roles that is strong and juicy but also has a good soprano strength in it, so that appealed to me. I try and go back and forth on a pendulum, like going from Nice Work If You Can Get It to The Bridges of Madison County. I consider The King and I to be a dramatic musical and Kiss Me, Kate to be a comedic one, so even though it’s another revival, I’m very excited to do something like that. Do you feel as if you’re very much working your way through the musical canon? Yes, and at the point where each of these shows has felt right as they have come along. Now I’m at this area in my life where I don’t know what’s next but I do think that I want whatever is next to be new. I definitely want to be doing projects that are more contemporary and then in-between I can do these bursts of enjoyable musical-theater classics. 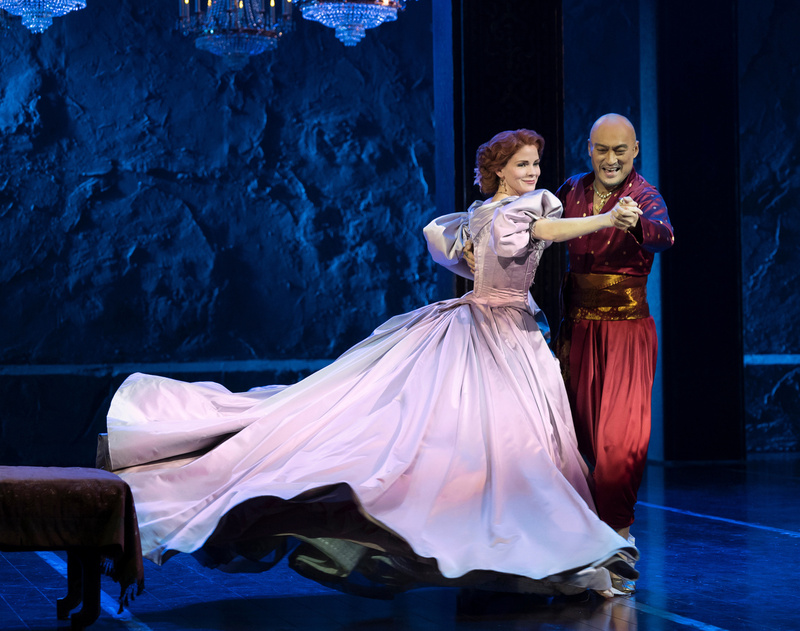 Do you think you might do a play, as Renée Fleming did a few seasons ago? Very much so, and if my cards are all played right, the next thing will probably be a play. That said, singing is the air that I breathe and that’s not going away.